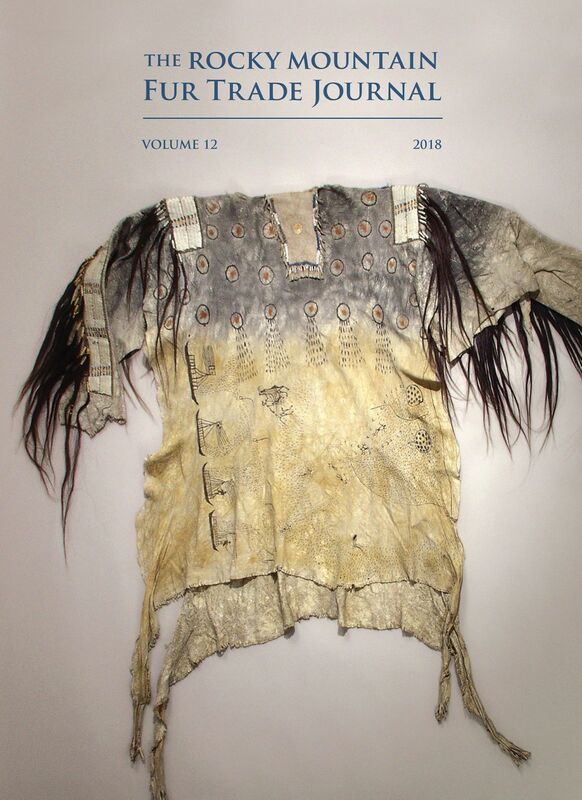 Volume 12 of The Rocky Mountain Fur Trade Journal is now available to order! Searching for the Stephens Party ambush site. A forgotten story in the aftermath of the 1832 Battle of Pierre’s Hole. One of the earliest known representations of fur trade era watercraft by indigenous people. A remarkable war shirt likely illustrating the opening battle of the Arikara War of 1823. New perspective of the men involved and causes of this now famous international incident. Comparing the success of Iroquois trappers with British verses American Fur companies. Music that can clearly be placed in the mountains and the Nez Perce man who made it his own. The Journal was released during this year’s 2018 Green River Rendezvous Days at the Museum. The vol. 12 Journal Awards and Author Signing took place July 12, 2018 6:00pm at the Museum of the Mountain Man in Pinedale, Wyoming. You can order the journal now and it will be shipped immediately! This entry was posted on June 12, 2018 by mmmuseum.